Lysine is a building block of the body and therefore very important for your body. It helps in stimulating the production of collagen. By consuming foods rich in lysine you can overcome herpes infections. First let us see what lysine is. Lysine is an essential amino acid. This means that it cannot be produced by the body. To get it you will have to consume foods rich in lysine or its supplements. Lysine is needed for stimulating collagen production. It also helps your body absorb calcium. Studies made have shown that lysine can help in treating cold sores. You can either consume lysine or apply it topically as a cream to treat cold sores and inflammation. Some studies made on lysine have shown that this amino acid has the ability to reduce anxiety in males and anxiety in females. It is true that lysine is essential for the body and offers you a lot of benefits. But it has some negative effects also. So, when you consume this amino acid, you should be very careful. 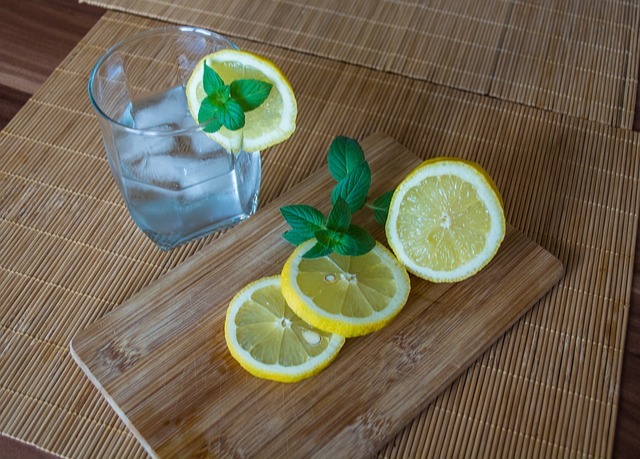 Although you can consume lysine and it is generally safe, it can sometimes lead to side effects like bloating, stomach upsets, constipation and diarrhoea. Some studies show that lysine can cause kidney diseases. In some cases it was seen that lysine made the symptoms of kidney diseases worse. To be on the safe side, it is better to consult your doctor before you consume lysine. Very little studies have been made on whether lysine is safe for consuming when you are pregnant or lactating. So, it is better to stay safe and avoid consuming excess of lysine rich foods when you are pregnant. Black beans are packed with proteins and are also rich in antioxidants. ½ cup of black beans provides you 7 gm of proteins and 523 mg of lysine. Cooked chicken breast is also a rich source of protein. It contains many essential amino acids needed for the body. Lysine is found in high amounts in it. It contains about 148% of the lysine RDI. A large percentage of people across the world prefer eggs for their breakfast. Most f us consume eggs in one form or the other. Eggs are rich sources of all the essential nutrients you need. Raw eggs are rich in protein and are great for consuming after a workout. Eggs are said to contain 43% of the lysine RDI. Lentils are easy to cook and good to taste. You can add it to salads and also make delicious dishes like dal. ½ cup of lentils contains 8 gm of protein and 624 mg of lysine. Parmesan cheese is packed with most essential amino acids. It is commonly used in the kitchen and can provide151% of lysine that you require daily. Pumpkin seeds are rich sources of fruit based proteins and also other essential amino acids. It also contains lysine in high amounts. It contains about 67% of the lysine RDI. Pork is a popular food item in most of the European nations. Many people round the world enjoy this food. Pork is a rich source of animal protein and contains many of the essential amino acids needed for the body. It contains about 123% of lysine RDI. Soybeans are considered as one of the most nutritious foods you can have. They are packed with most of the essential amino acids and are rich sources of vegetable-based proteins. They contain about 125% of lysine RDI. Roasted beef is very delicious and is also rich in protein. Many other essential amino acids are also found in high amounts in roasted beef. It contains about 171% of the lysine RDI. Seafood like shrimp, prawns, crab and lobsters contain high amounts of most of the essential amino acids. Cooked shrimps contain 103% of the lysine RDI. This is made from pure wheat gluten. It may not be suitable for everyone, especially those who suffer from celiac disease, or those who are sensitive to wheat protein. For others it is a rich source of lysine. 3 oz serving of seitan contain 20 gm of protein and 656 mg of lysine. Although any type of oily fish is rich in lysine, tuna is especially rich in this amino acid. It contains about 123% of the lysine RDI. This is a soy product and contains about 15 gm of protein per ½ cup serving and 754 mg of lysine. Tempe is chewy and has a nutty flavour. You can use it in a stew, curry or in any other forms. Quinoa is the only grain that is also a complete plant-protein. It is considered as a seed. By having one cup of cooked quinoa you will get 8 gm of protein and 442 mg of lysine. You also get vitamins, minerals and fibre. White beans are used for preparing various kinds of foods and are very nutritious. They are packed with essential amino acids like lysine. It contains 32% of the lysine RDI. 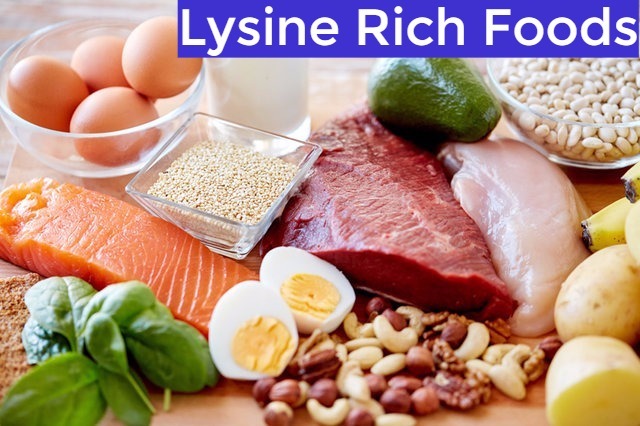 Now that you have seen the foods rich in lysine, include them in your daily diet plan. It is said to have the ability to curb many health problems.